Welcome to the glamour and glitz of Hollywood’s Golden Age! Disney’s Hollywood Studios takes you inside the movie making process as only Disney can. It gives you that feeling of movie magic, as if you’re actually inside one big, elaborate movie set. I’ve been here more times than I can count and know every attraction like the back of my hand. 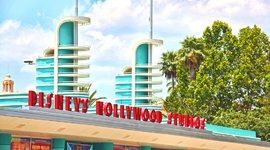 This Hollywood Studios guide is meant for families to help plan their Disney World vacation with insider tips into all the best rides, attractions, shows, and places to eat. 1. 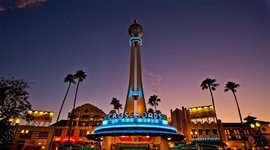 Hollywood Boulevard – Glowing neon, shiny chrome, and art deco architecture puts in the Hollywood of the 1930’s. It’s the world of starlets, gossip columnists, and detectives: the Citizens of Hollywood. These characters will interact with you as you stroll down the boulevard. 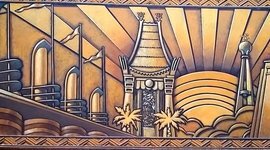 Directly in front is a replica of Grauman's Chinese Theater, home to The Great Movie Ride. 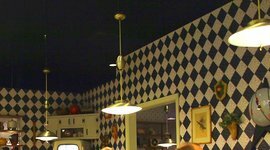 You’ll also find the Brown Derby, a Hollywood Studios restaurant reminiscent of the former meeting place of the stars. 2. Echo Lake – Echo Lake is home to Gertie the Dinosaur, an iconic dino-statue stand that serves up snacks and desserts from a kiosk in her belly! 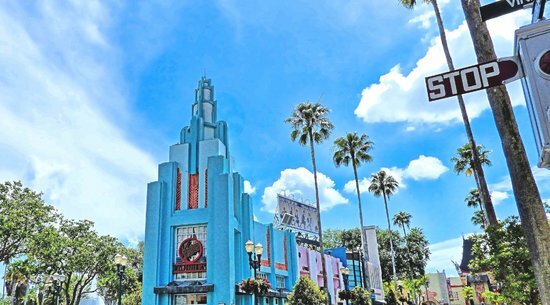 Stand-out attractions near Echo Lake include the Indiana Jones Epic Stunt Spectacular, a live stunt show, and Star Tours, a Star Wars flight simulator. 3. 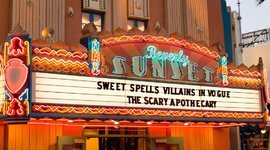 Sunset Boulevard – Sunset Boulevard is home to specialized shops that feature gifts themed after Disney Villains and other classic Disney characters. You’ll also find many of the premier Hollywood Studios attractions, such as Tower of Terror and Rock ‘n’ Roller Coaster Starring Aerosmith. 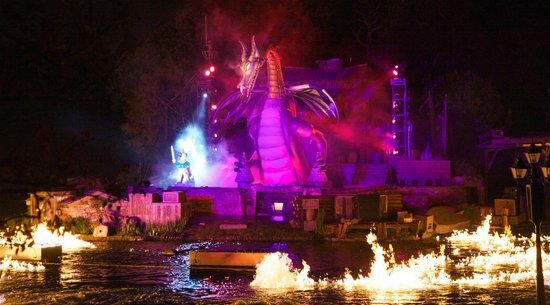 You’ll also find Fantasmic at the Amphitheater, and a live production of Beauty and The Beast. 4. 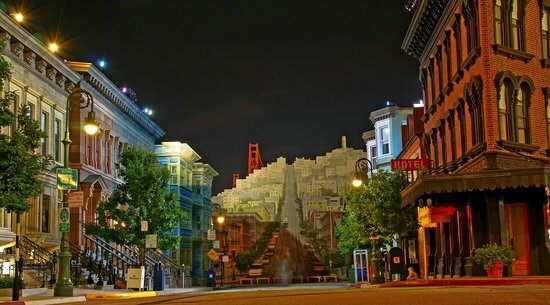 Streets of America – Using photo-realistic sets and forced perspective, they create the illusion and of being in New York City, San Francisco, and Chicago. This area is also home to a Frozen sing-along and a dramatic stunt show, among other spectacles. 5. Pixar Place – Come to Pixar Place for a meet ‘n greet with larger-than-life toys, including Buzz, Woody, and Green Army Men. It’s also home to the extremely popular Toy Story Midway Mania Attraction. Despite its small size, it’s a very popular area of the park. 6. 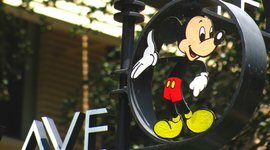 Mickey Avenue – Mickey Avenue is home to Walt Disney: One Man’s Dream, an interactive gallery featuring a collection of memorabilia from the Disney archives. 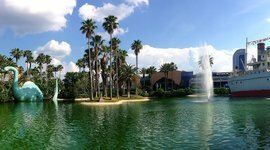 You’ll see artifacts from the history of the Disney company and Walt Disney’s life. The finale is a wonderful movie that features Walt Disney himself talking about the most meaningful and emotional moments of his life. 7. Animation Courtyard – Animation Courtyard is filled with attractions based on Disney characters of today, yesterday, and tomorrow. 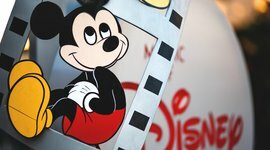 The Magic of Disney Animation shows you how animation comes to life. There are also a number of fun, family shows throughout. 1. Star Tours: Echo Lake – It’s a 3D flight simulator inspired by the Star Wars movies. You climb inside a spaceship that flies through a Star Wars battle scene. 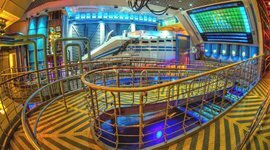 It’s 5 minutes long and with over 50 different ride scenarios, you’ll rarely have the same experience twice. 2. 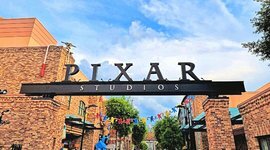 Toy Story Midway Mania: Pixar Place – There’s a reason it’s one of the most popular attraction in all of Disney World. 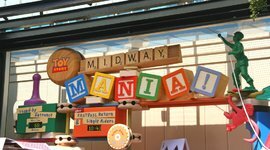 Toy Story Midway Mania appeals to the senses in so many ways! You’ll ride through five different games and shoot moving targets. You can compete with friends and family to get the highest score – but no matter what your skill level, everyone's a winner. 3. 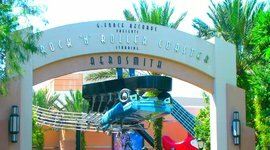 Rock ‘n’ Roller Coaster Starring Aerosmith: Sunset Boulevard – Board your super-stretch limousine and blast off through the darkened freeways of Los Angeles while listening to the music of Aerosmith. “Love on an Elevator” has been rewritten to “Love in a Roller Coaster” just for this attraction! There’s lots of neon, city traffic, and three thrilling inversions as you race to get to the concert on time. 4. 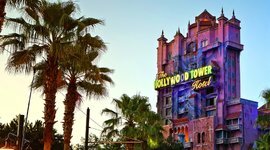 The Twilight Zone Tower of Terror: Sunset Boulevard – You’ll feel like you’ve traveled back to 1939 when you enter the Hollywood Tower Hotel. Board the service elevator from a secret passage, and hold on tight. You’re about to launch upward into darkness and take some interesting stops along the way. Finally, on the 13th story, out of nowhere, you’ll plunge downward, and then shoot upwards again. 5. 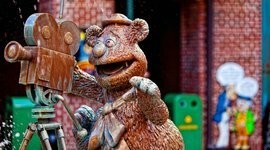 Muppet Vision 3D: Streets of America – Join Miss Piggy, Gonzo, Sam Eagle, Kermit, and more of your favorite Muppets in this funny 3D movie experience. You’ll be blasted with a burst of air, and find yourself in a shower of soap bubbles at various times during the show. The pre-show is also a lot of fun. The entire experience is great for all ages and gets rave reviews from the whole family. 5. Lights, Motors, Action! 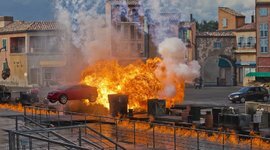 Extreme Stunt Show: Streets of America – It’s a classic Hollywood chase scene with specially designed stunt cars, jet skis, and motorcycles, all in hot pursuit. Live vehicles are followed by cameras that show everything on a giant television screen. You’ll see vehicles drive in reverse and split in half. There’s also a special appearance by Lightning McQueen. 6. 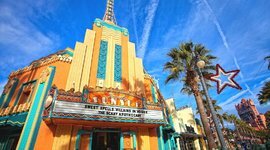 The Great Movie Ride: Hollywood Boulevard – If you’re a movie lover, you’ll love this behind-the-scenes look into sets from famous films. Long tram cars take you on an interesting journey through some of the world's most famous movie scenes. 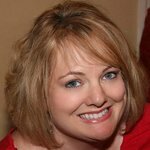 Just about every genre is represented: musicals, gangster movies, westerns, romances, action, adventure, and horror flicks. This attraction is about 20 minutes long, and housed inside a full-scale replica of Hollywood's legendary Grauman's Chinese Theater. 1. 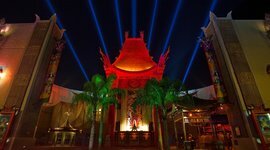 Star Wars Weekends – During five weekends every summer, Hollywood Studios transforms into a scene out of Stars Wars. 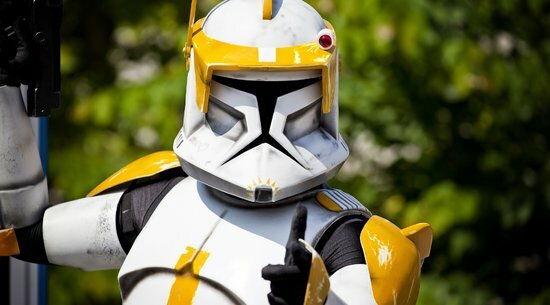 Parades of storm troopers march through the streets, Mickey is dressed as Luke Skywalker, fireworks light up the sky, and hundreds of fans are decked out in costume. Celebrities from the movies also make an appearance for autographs and Q&A sessions. 2. 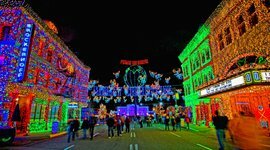 Osborne Spectacle of Dancing Lights – Millions (literally millions) of dancing, glittering lights are perfectly synchronized to holiday music during the Osborne Spectacle of Dancing Lights. They wrap around the buildings and change hues and brightness, as if by magic. There are heavenly angels, a spinning globe, toy soldiers, and Santa with his reindeers. Be sure to look for hidden Mickeys! 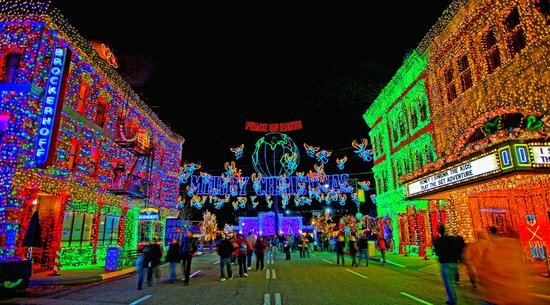 The Osborne Lights is nothing short of awe-inspiring. You absolutely can’t miss it if you are visiting during the holidays at Disney World. 3. Fantasmic! 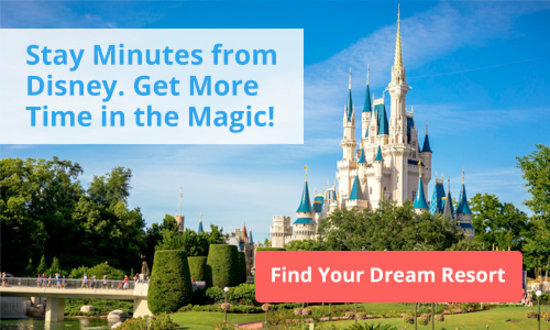 – Sorcerer Mickey battles a fire-breathing dragon in this spectacular Dinner show, complete with pyrotechnics, songs, and animatronics. 2. 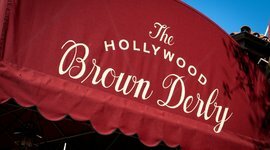 Hollywood Brown Derby – Step back in time to the Hollywood of the 1930’s and enjoy a replica of the original Brown Derby restaurant in California. 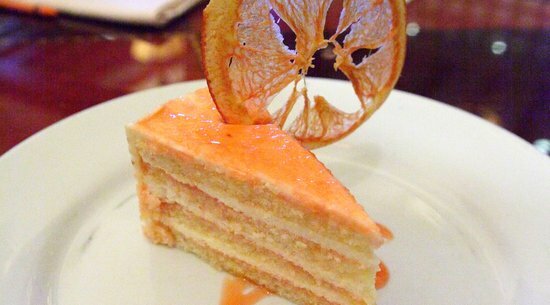 Sit in your curved booth complete white linen tablecloth and savor a Cobb Salad, Duck two ways, or a slice of Grapefruit Cake. There’s a nice outdoor patio with open-air seating where you can order small plates and cocktails. 3. ABC Commissary – This quick service restaurant offers a lot of variety. You can order everything from British-style fish and chips to Asian salad, or go for something more traditional like a cheeseburger or chicken club. The large dining room is very inviting because of the air conditioned comfort that it provides. 4. Sweet Spells – Inside the Beverly Sunset store is a wonderful place to satisfy your sweet tooth. The smell of gourmet apples, Disney fudge, krispie treats, and cookies will put a spell on you! 1. 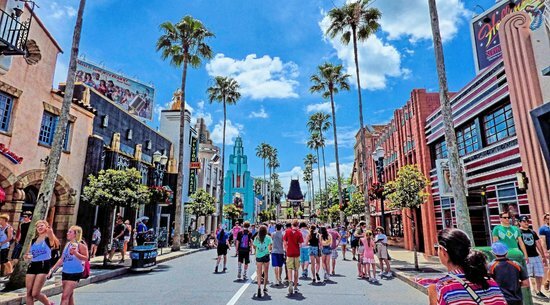 Streets of America – This area was formerly known as New York Street, for its depiction of that cosmopolitan city. 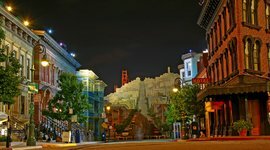 It was renamed in 2004, with the addition of scenes from the streets of San Francisco. 2. Singin’ in the Rain – There’s an umbrella mounted to a street light in the Streets of America section of the park. It’s an homage to the film, Singin' in the Rain. Stand on the metal plate at the base of the pole for a surprise! 3. 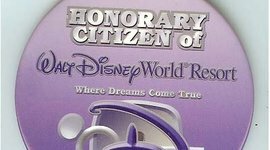 Citizen of Walt Disney World Button – Head over to One Man’s Dream and ask a Cast Member for a citizenship quiz. Upon completion, return you quiz to the Cast Member and receive a very special button. 4. Fantasmic Dining Packages – Make advance reservations and choose fine dining, casual dining, a buffet, or VIP viewing, at the spectacular Fantasmic. 5. 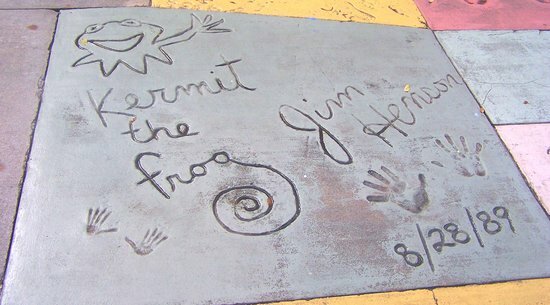 He’s Just Drawn That Way – Read the names on the second floor windows on Hollywood Boulevard. One of them says “Valiant Detective Agency.” Eddie Valiant was the detective in Who Framed Roger Rabbit. Look at the window to the left of that one and see a little moment from the film captured there. 6. Big Shoes to Fill – Take time to look at the handprints in front of the Great Movie Ride, and compare your hand and shoe size to that of some very famous stars! 7. 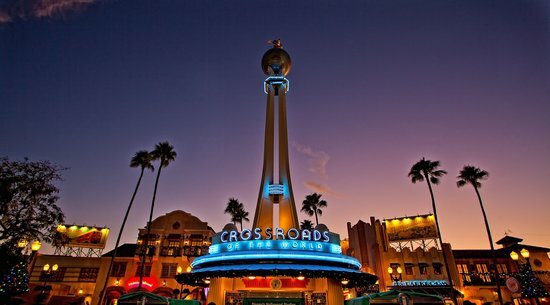 Look Up as you Enter The Park – Crossroads of the World is a replica of the original Crossroads of the World in Los Angeles, California, except for one minor difference. You’re at Disney after all, so this one has Mickey Mouse on top! He actually doubles as a real life lightning rod.